We just got back from a Thanksgiving trip to Broomfield Colorado to visit Tyson’s family. Although travel there and back was a little rough, we had a great time on our visit, highlighted by a trip to The Wild Animals Sanctuary, located about an hour north of Broomfield. 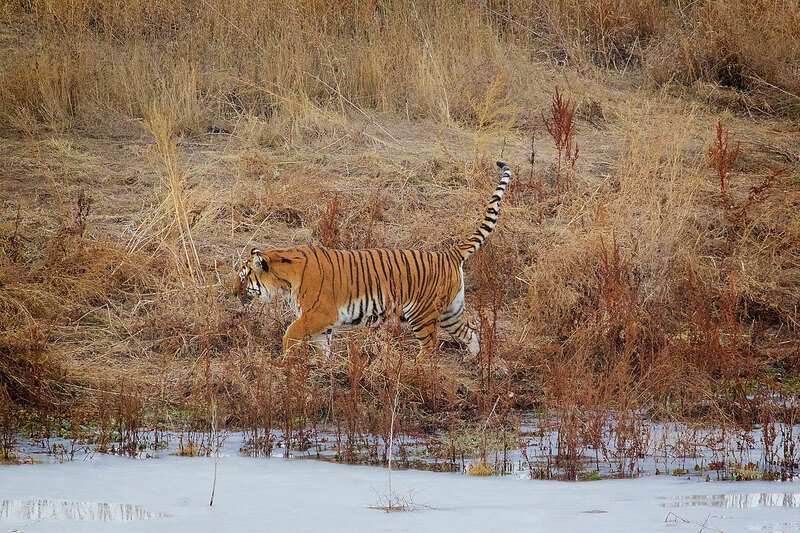 They also believe that there are currently more tigers living in captivity in Texas than in the wild, where their population is estimated to be around 3,000. It’s also believed that there are between 10,000 to 20,000 privately owned big cats including tigers, lions and cougars currently living in captivity in the U.S., but the exact number is unknown due to insufficient record keeping. Those numbers were shocking to me. When I think about people with exotic pets, which isn’t very often, I think of them owning parrots, gators, or, God forbid, boa constrictors, not lions, tigers, and bears, oh my, oh my! Anybody stupid enough to believe a lion, tiger, or bear would make a good “pet” is just plain too stupid to be trusted to keep them from posing a threat to the rest of us. Heck, I remember how outraged I was when I found out that a neighbor was raising a Wolf-hybrid and letting it run loose in the park across the street where I took Skye for his daily walk. After it confronted Skye and I on our front porch, I told him the next time it was on my porch it would be a dead hybrid-wolf. (Though, in retrospect, I would have been more apt to put a bullet in the owner than in the poor wolf-hybrid.) 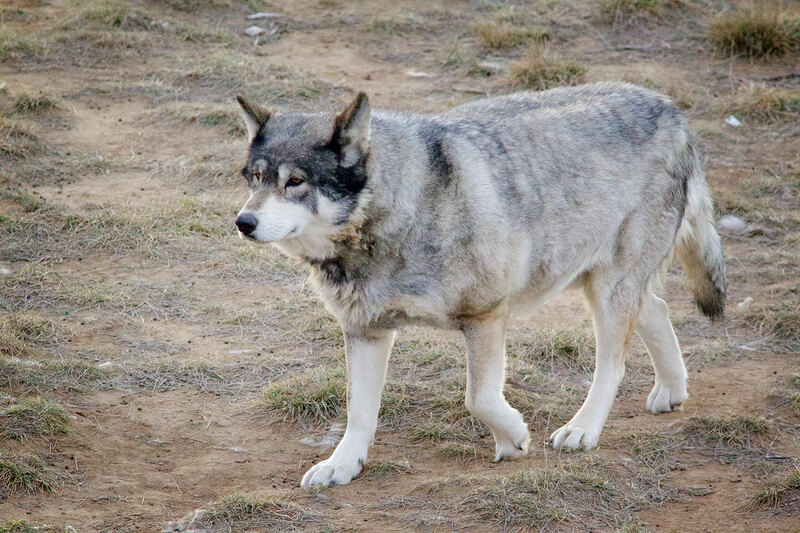 At least owners could argue that such breeds are closer to dogs than wolves, though the sanctuary had a pack of wolf-hybrids that looked remarkably like the mascot of my favorite school. and, if you didn’t know that it was about to drop to 18°, this lion might look like it was in its natural habitat searching for natural prey instead of heading toward a frozen turkey. 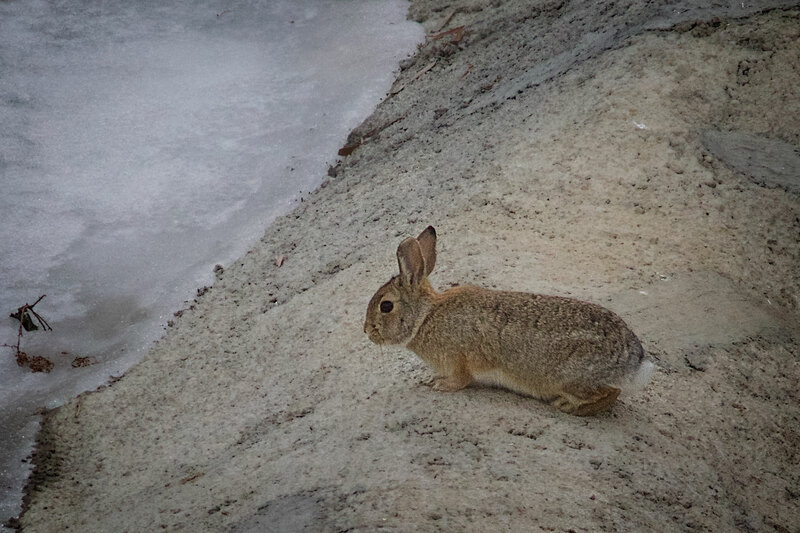 At least it was comforting to know that in case of harsh weather all the animals had man-made dens where temperatures were a steady 60°. though the cougars did occasionally chase them since they were a natural prey. 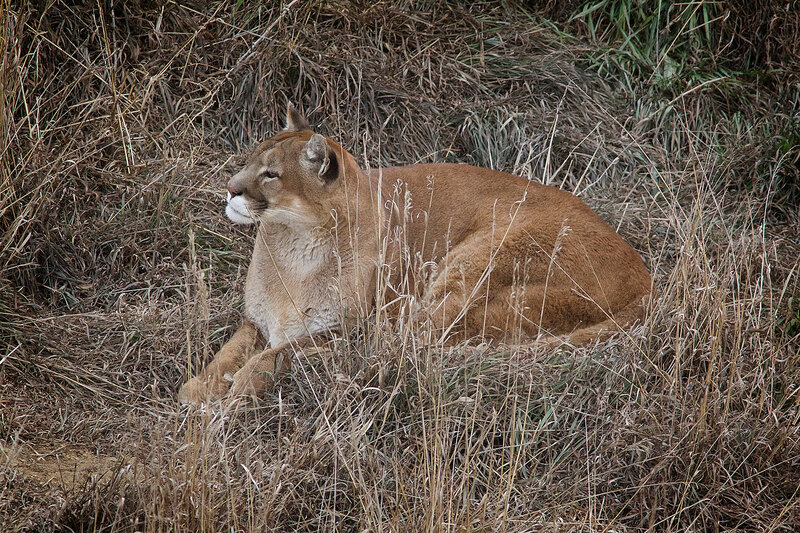 Unfortunately, the cougars I saw were either asleep or dozing. His explanation made perfect sense, though. 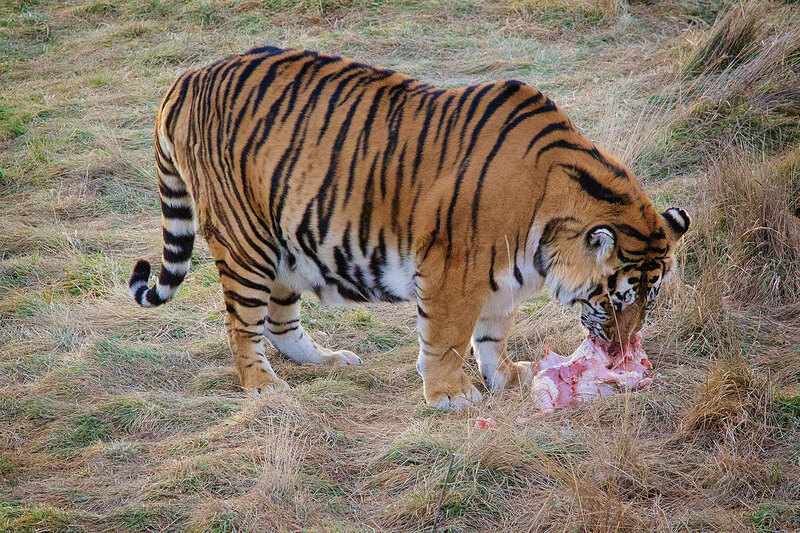 What tiger would prefer a scrawny rabbit to a plump turkey for a Thanksgiving meal? Despite my ambivalence about caged animals, I’d like to visit in the summer to see the animals in warmer temperatures and playing in the pools throughout the refuge. The sanctuaries, the good ones, are better than the habitats so many of these animals have been in. 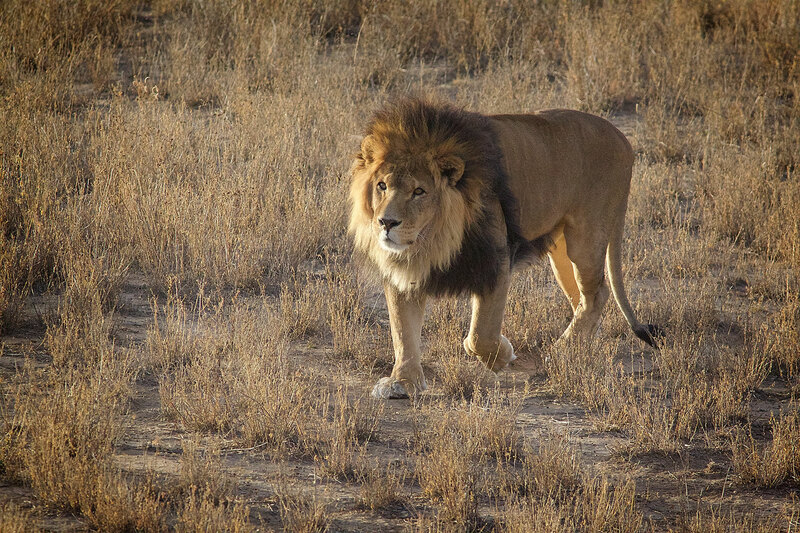 The cheap roadside zoos, the idiotic private owners, the canned hunt operators…well, let’s say a decent sanctuary is better. What people need to know to experience a tiger, is we don’t have to see a tiger directly, as long as we know they exist where they belong. As for wolf-hybrids, bad news. Breeders should be outlawed, and your neighbor should be reported to the police. Speaking of a good sanctuary being better, looks like this one just received a couple of new residents. Didn’t have a chance to photograph them this time. Guess I’ll have to see them on my next visit. I’ll agree that this refuge is clearly miles ahead of the kind of places all these animals were rescued from.